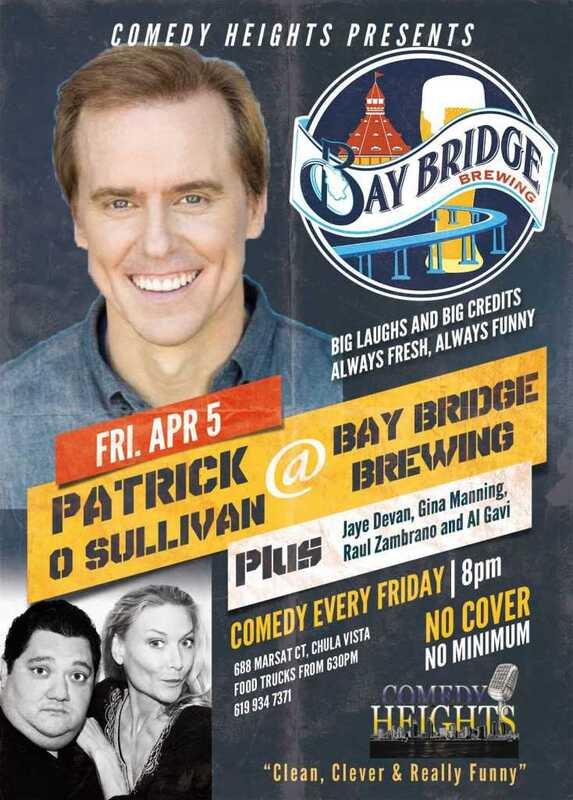 Friday April 5th at Bay Bridge Brewing! Patrick O’Sullivan! This Friday, 8PM at Bay Bridge Brewing! Patrick O’Sullivan! 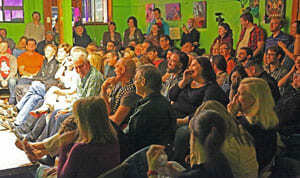 A fixture on the L.A. and national standup scene, Patrick was chosen for the 2016 Laughing Skull Comedy Festival (Atlanta) and is headlining clubs this year in Seattle, San Francisco, Calgary and Sacramento. He writes for roasts, fellow comics, artists of Nickelodeon’s Awesomeness TV and the internet channel Totally Sketch. As a producer, his new documentary on Lenny Bruce titled Looking for Lenny was ranked by IFC.COM as #1 on their “10 Great Documentaries about Comedians” list. We’ll also have Gina Manning, Raul Zambrano and Al Gavi! Next story April 12th to 13th on Comedy Heights! Rick Izquieta, Ryan Conner, and Matt Torkelson! Previous story April 5th and 6th on Comedy Heights! Patrick O’Sullivan and Jay Devan!